Take control of your Shabbat leisure time like never before – read and sleep with ease whenever you want with the revolutionary SHABBULB™. Let there be choice. 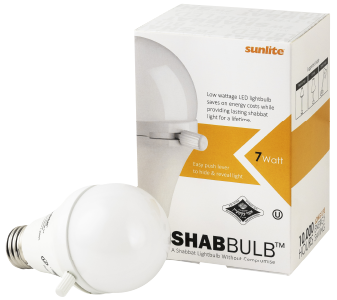 The adjustable SHABBULB™ illuminates an entire space evenly, acting exactly like a regular bulb – with one difference. Hide and reveal light as needed without affecting electrical currents. Simply slide the lever on the side, and tiny covers glide over the LED lights that sit within the bulb. The bulb radiates a pleasantly even light. Lever slides to adjust amount of visible light. No light shines, though the bulb remains on. 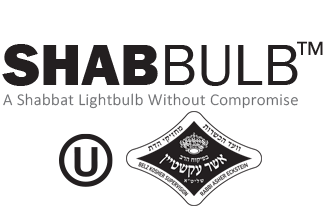 The SHABBULB™ is certified to hide and reveal light with no risk of violating the laws of Shabbat since it does not affect electrical usage. Although LED light isn't considered "fire" in the halachik sense, the bulb itself is considered muktseh. The SHABBULB™ solves this issue by using a unique removable cover that permits the use of the lever on Shabbat and Yom Tov. 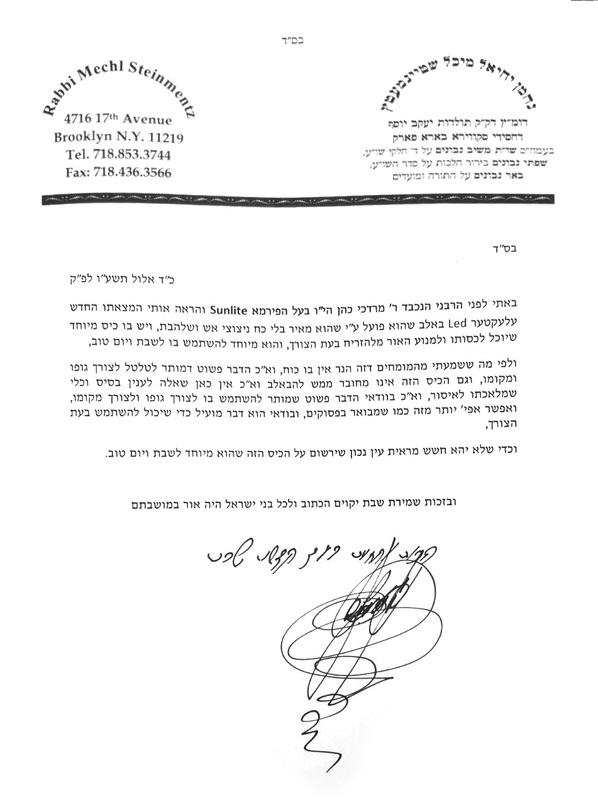 It's important to note that the lamp itself may not be moved or turned on and off during Shabbat and Yom Tov. •et; Looks and acts like a regular bulb. •et; Sliding lever covers hidden LED lights. •et; Light stays on, but concealed.